In 1990, twenty-five years after the approval of the Conciliar Decree Ad Gentes in 1965, John Paul II issued the encyclical "Redemptoris Missio" (RM), which was disputed by many in the Vatican Curia before it was published. They said: "The encyclical is too solemn" an "apostolic letter" would suffice, just as for the anniversary of other conciliar texts." Instead the Pope wanted an encyclical to fill a void and authoritatively confirm Ad gentes. The void was this: the Ad Gentes, considered secondary in the context of Vatican II (it risked being abolished, as I wrote), lacked time to allow for ample discussion or to respond to all requests the Council Fathers from the missions: it is a beautiful text, but rushed, incomplete. The R.M. has been underestimated in the Church, by theologians, missiologists, missionary magazines, because it is considered as a confirmation of Ad Gentes, so, they concluded, ads nothing new nor "does it have the charm of earlier documents." In fact, RM, certainly wanted to confirm Ad Gentes, but also, according to the will of Pope John Paul II (and I can confirm having met the Pope several times while preparing the three drafts of the document, from October to December 1989, March and July 1990), intended to deal with issues that had been hastily examined or even ignored during Vatican II: for example, "The mission has only just begun to direct our attention to the South and the East" (n. 40), "Embodying the Gospel into the cultures of peoples "(Nos. 52-54),"Dialogue with our brothers from other religions "(one theme, for example, that is missing in " Evangelii Nuntiandi ", nn. 55-57)," promoting development by forming consciences "(Nos. 58.-59, the text is totally new and revolutionary in addressing the topic" Gospel and development ")," diocesan priests for the universal mission "(Nos. 67-68)," Not only giving to mission but also receiving" (No. 85)," God is preparing a new springtime of the Gospel "(No. 86), The" young churches are the (missionary) hope of the universal Church "(n. 91), the Treaty on "missionary spirituality" (Part VIII, nos. 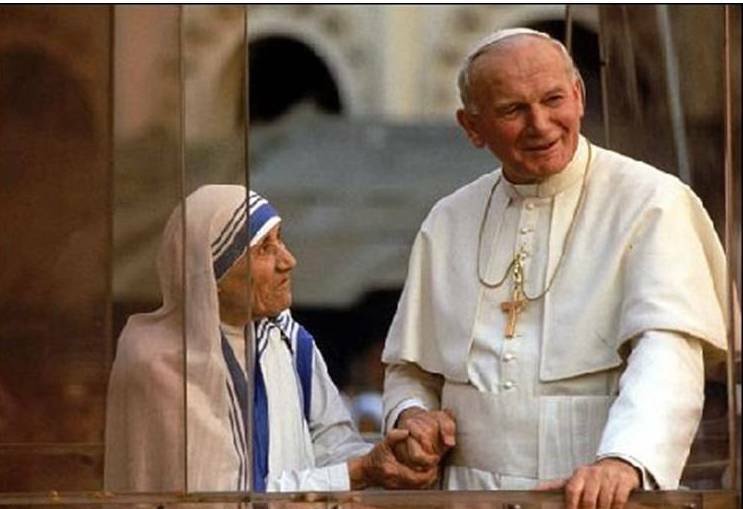 87-91), etc..
John Paul II at the beginning of the encyclical "Redemptoris Missio" (1990) affirms that he wants to re-launch mission to the peoples, while noting the positive effects of the Council on missionary activity (No. 2): " The Council has already borne much fruit in the realm of missionary activity. There has been an increase of local churches with their own bishops, clergy and workers in the apostolate. The presence of Christian communities is more evident in the life of nations, and communion between the churches has led to a lively exchange of spiritual benefits and gifts. The commitment of the laity to the work of evangelization is changing ecclesial life, while particular churches are more willing to meet with the members of other Christian churches and other religions, and to enter into dialogue and cooperation with them. Above all, there is a new awareness that missionary activity is a matter for all Christians, for all dioceses and parishes, Church institutions and associations." But then the Pope continues noting that many missionaries in the field complain, often with acute suffering (no. 2): "Nevertheless, in this "new springtime" of Christianity there is an undeniable negative tendency, and the present document is meant to help overcome it. Missionary activity specifically directed "to the nations" (ad gentes) appears to be waning, and this tendency is certainly not in line with the directives of the Council and of subsequent statements of the Magisterium. Difficulties both internal and external have weakened the Church's missionary thrust toward non-Christians, a fact which must arouse concern among all who believe in Christ. For in the Church's history, missionary drive has always been a sign of vitality, just as its lessening is a sign of a crisis of faith. " What are the "internal and external difficulties" that have slowed the missionary outreach of the Church? Many and varied: the closure of several countries to foreign missionaries, the strengthening of nationalism, religion and non-Christian cultures, wars, guerrilla warfare and anti-Christian persecutions, a deepening of the gap (or abyss) between Christian and non-Christian peoples (North and South the world); difficulty in integration between bishops, priests, local and foreign missionaries; new priorities that have replaced the first announcement: human development of peoples, interfaith dialogue, etc.. In Italy, in my experience, the loss of the missionary ideal is not only due to the crisis of faith and Christian life, the loss of identity of the "mission to the nations" and the consequent confusion of voices in Catholic and missionary theological production and publications. The "Redemptoris Missio" sums up this period of terminological and conceptual confusion (No. 32): " The so-called return or "repatriation" of the missions into the Church's mission, the insertion of missiology into ecclesiology, and the integration of both areas into the Trinitarian plan of salvation, have given a fresh impetus to missionary activity itself, which is not considered a marginal task for the Church but is situated at the centre of her life, as a fundamental commitment of the whole People of God. Nevertheless, care must be taken to avoid the risk of putting very different situations on the same level and of reducing, or even eliminating, the Church's mission and missionaries ad gentes. To say that the whole Church is missionary does not preclude the existencec of a specific mission ad gentes, just as saying that all Catholics must be missionaries not only does not exclude, but actually requires that there be persons who have a specific vocation to be "life-long missionaries ad gentes". 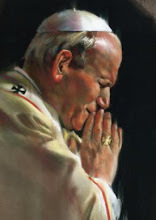 Pope John Paul II's pontificate was oriented towards the whole world, as he wrote himself (RM 1): "From the beginning of my Pontificate I have chosen to travel to the ends of the earth to show this missionary concern and their direct contact with people who do not know Christ to me even more convinced of the urgency of this activity, to whom I dedicate this encyclical. " - "The Italian Church's missionary committement " (25 March 1982), 25 years after the Fidei Donum: the first, great Directory for the diocese and diocesan missionary centers. - "The missionary zeal of Italian diocesan priests" (21 April 1982), pastoral note on Italian "Fidei Donum priests" (then 1200). - "Communion and missionary community" (22 June 1986) after the Congress of Loreto in 1985, to promote the "new mission" and guide the choices of the diocese towards universal mission. - "Missionary institutes in the dynamism of the Italian Church" (10 February 1987), which reaffirms the validity of the missionary institutes and religious congregations with missions, a beautiful text and proper recognition of the missionary forces that carried out the mission to the nations well before the "Fidei Donum ". - "The laity in the mission ad gentes and cooperation between peoples" (25 January 1990) to guide the increased presence of Italian laity in the missions and missionary cooperation (in the mid-eighties were cica 1800). - "The love of Christ impels us - Letter to the Christian communities for a renewed missionary commitment" (4 April 1999), I think the best document of the CEI on the mission to the Gentiles. Missionaries or social workers and politicians? But looking at magazines and books, conferences, campaigns, organizations and missionary organizations, sometimes one wonders if people know about the document at all. Let's face it: the serious decline in missionary vocations in Italy comes from the decay of the family and of Italian society and is parallel to the crisis of priestly and religious vocations of which all complain, but also depends on how the figure of the missionary and "mission to the Nations "is presented. Thirty years ago there were missionary vigils and marches where the missionaries in the field spoke, asking God for more vocations for the mission to the people and provoking young people into giving their lives for missions. Today the prevailing mobilization is on issues such as arms sales to poor countries, the collection of signatures against the external debt of African countries, water as a public good, deforestation, etc.. When issues such as these gain the most weight in the "missionary activities", it is inevitable that the missionary ad gentes gradually becomes little more than a social worker and politician. In a town in Lombardy, in 2006 on the even of World Mission Sunday consisted of a march from the city center to a weapons factory in the suburbs, to protest against the national industry; Is this really an issue for mission to the nations? Today, missionary activities (commitments of groups, books, magazines) are dominated by the reports, denunciations , criticism and protest at the expense of personal witness of values ​​such as the gift of life for the Gospel and, because of that, the commitment for a more just and human world. Redemptoris Missio reads (n. 79): "Promoting such vocations is at the heart of missionary cooperation. Preaching the Gospel requires preachers; the harvest needs laborers. The mission is carried out above all by men and women who are consecrated for life to the work of the Gospel and are prepared to go forth into the whole world to bring salvation. " I ask: How will a young boy or a girl ever feel attracted to become missionaries, if they are educated only to denounce, complain, protest, to collect signatures against weapons or foreign debt? For more missionary vocations we must attract young people to the Gospel and to the missionary life, helping them fall in love with Jesus Christ, the only wealth we have. Everything else is of no consequence. In Italy, the religious horizon of mission is obscured, in favor of a social, cultural and political horizon. It is the Word of God that saves, not our human 'projects', not our ideology, not money or protest against injustice or any political project of 'revolution' to bring peace and justice. It is not enough to change the law (it must be done, but it is not enough! ), You must change the heart of man, from egotist to altruist: this is the Christian project of liberation: creating a '"new man" according to the model of Jesus. The Conference of the Latin American bishops at Puebla (1979) stated: "The best service to our brother is evangelization, which helps him to live as a child of God, free from injustices and helps his integral development." This is also the experience of missionaries in the field and the young Churches. The missionary institutions and the various agencies and missionary groups are mandated by the Church to proclaim Christ, convert hearts with the grace of God, to bring the "revolution of the Gospel" that develops man and human society. The more they remain faithful to their charism, the more they are credible and evangelize, the further they drift from the perspective of a supernatural salvation, marrying ideologies and human projects, the more they become spiritually barren.